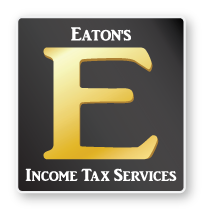 Eaton’s professional team includes two Certified QuickBooks ProAdvisors and maintains membership with the American Institute of Professional Bookkeepers (AIPB). Whether you need a full-charge bookkeeper on a weekly basis or someone that handles your books monthly/quarterly/annually – we aim to optimize! Our accounting staff provides comprehensive assistance for all your financial needs in a stream-lined, efficient manner. We offer QuickBooks setup, cleanup, review and maintenance both on-site and remotely no matter what the industry. Ideally, having QuickBooks setup correctly from the start will save you from headaches down the road. We can do a complete setup of your bookkeeping system or review your current records, correcting any errors and providing necessary cleanup. And we have the technological resources to reduce data entry even if you only have printed documents or PDF versions of your financial statements. We have a teamwork mentality and can also work with your current bookkeeper and/or CPA to suggest any enhancements. 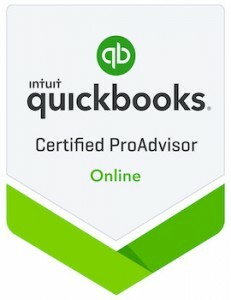 If you are unsure which software to use, or are contemplating moving from QuickBooks Desktop to QuickBooks Online, we can assist in that decision. We provide year-end bookkeeping services for companies that have not kept up with their bookkeeping throughout the year and need to catch-up before filing taxes. We also can provide a thorough review of your records, discovering and correcting any errors before closing out your books. A custom quote for our service will be given at the time of the request. Determine if your business can slow down payables to forestall an inevitable cash shortage? Balance sheets, along with income statements, are the most basic elements in providing financial reporting to potential lenders such as banks, investors, and vendors who are considering how much credit to grant. Do you know what your Profit Margin Ratio is? Or your Working Capital or Accounts Receivable Turnover numbers are? Understanding and knowing your company’s key performance indicators and then tracking these values from dashboard reports allows you to see an entire analysis of your financial health. We can help in determining your KPI’s and generate custom reports so that you can stay current in observing the trends of your goals and financial success. The general ledger is the core of your company’s financial records. These records constitute the central “books” of your system. Since every transaction flows through the general ledger, a problem with your general ledger throws off all your books. Having us review your general ledger system each month or annually allows us to hunt down any discrepancies such as double billings or unrecorded payments. We also are experts in making the necessary adjusting journal entries to correct these discrepancies. We first want to find out a little more about your business and your accounting records before we quote you an exact price. Rest assured that we work with many different clients in all types of industries and our rates are designed to fit their budgets. Your exact needs will be determined and priced accordingly.